Agrawal offers three strategies for marketers to get their message across to those who hate ads. At the same time, you can target your audience in such a way that you are maximizing the impact and therefore the efficiency of your message. He says, “you can review your targeting to ensure that you are only reaching people who are going to be interested in what you’re selling.” For example, you can monitor some online statistics such as your click-through rate. If you aren’t getting many clicks on your links, it suggests you’re not targeting the right people. Most people wouldn’t say they enjoy ads. However, there is a segment of every market that is simply hostile to the very idea of ads. But that doesn’t mean they can’t be reached. It just means you need to be a bit more thoughtful. 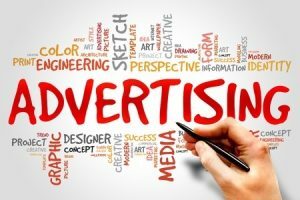 How could thinking more strategically about how your audience views your advertising messages help you better connect with them—and compel them to some desired action? This entry was posted on Tuesday, March 7th, 2017 at 9:02 am	and is filed under Advertising, Content Marketing, Internet Marketing, Marketing and Branding. You can follow any responses to this entry through the RSS 2.0 feed. You can skip to the end and leave a response. Pinging is currently not allowed.